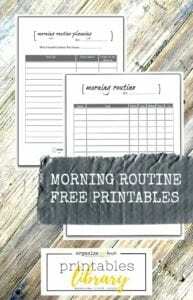 Following on from my post about creating a morning routine, here are the printables that you can download and use to make your morning routines much more easy to plan. 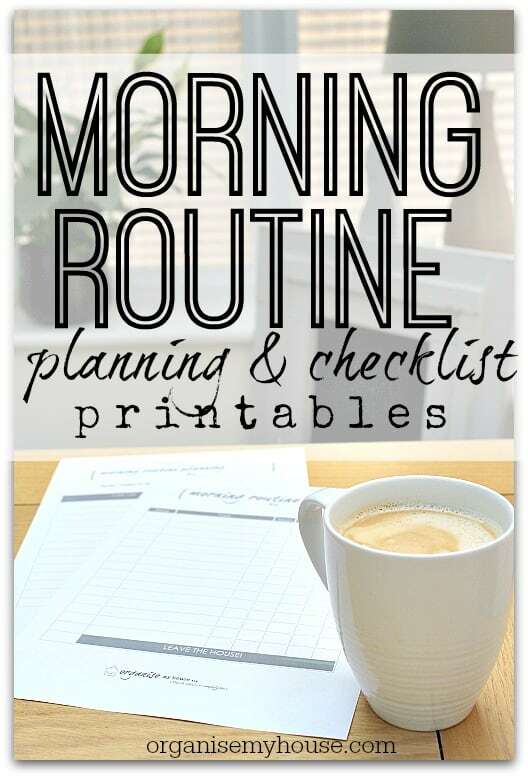 Morning routines are a great tool to ensure that your day gets started well, that you are prepared and that you have all your need for the rest of the day to run smoothly – and what could be better than that! Even though you could easily create your own routines with just a piece of paper and a pen, I always find that if I have a pretty looking printable that looks good on your wall – it can make all the difference to wanting to follow the routine. TIP – Frame the routine printable so that you can use a dry erase marker on the glass to tick off the tasks as you do them each day – then you can reuse each week. 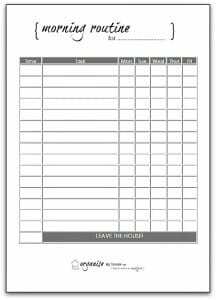 The first is the planning sheet where you can work out what you need to do each morning, how long it takes, and what order to do it all in. The second being the place you can put your routine in the order that it all needs doing, with times against each task. 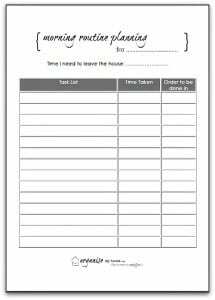 TIP – fill out one for every member of the family so that you all know when you have to do things – this is especially useful for morning routines because then you can give everyone times for using the bathroom to stop arguments, and also try and have everyone having breakfast at the same time so they are all involved in clearing it up in one go – and you get some family time too! Previous Post: « The secret to a successful morning routine – work backwards! I signed up as a member however I am having trouble opening up anything that actually gets me to the free printables. Please help. I know my morning routine during the summer, but this will be great during the school year, when it is more complicated. Hi Kristy – great news – hope it helps!